Agents of S.H.I.E.L.D., as always, is dedicated to turning up the heat with every episode, and the latest installment was no exception. What went down in the Marvel universe last week? Let's find out. In the opening scene, we flashback to the exact moment the Death parasite inhabited Dead!Ward’s body. (It’s disgusting, and I just so happened to be eating at the time.) 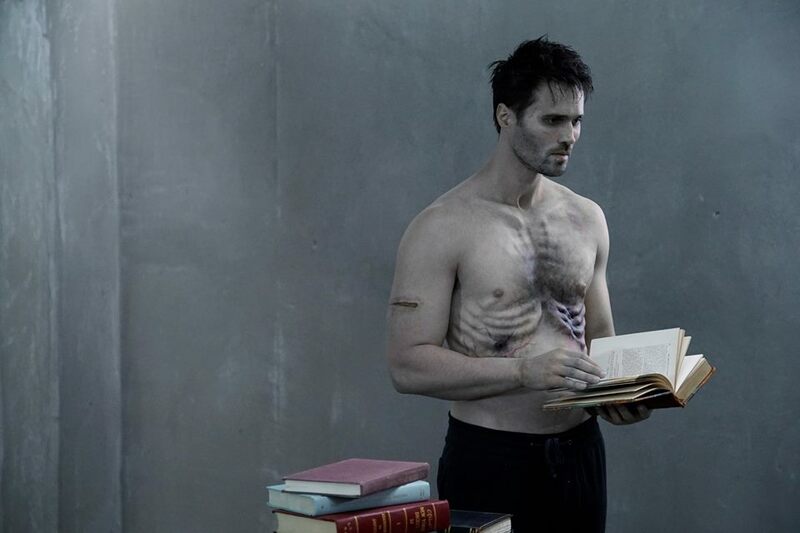 This is when Dead!Ward became who he is now… Hive. Back in the present, Malick and Hive discuss what kind of a man Ward was--a good soldier for Hydra, and now, an excellent host. Malick has Giyera present the Inhuman who was captured last week, the one who can freeze people with his eyes (let’s call him Zappy). At Hive’s request, they take off his glasses (bad, bad idea), and Zappy freezes everyone… except Hive, who dissipates into particles, leaving an impression of himself in midair. He then dissipates in Zappy’s direction. Back at base, the team is prepping to leave for somewhere. Hunter is over-prepared, and Fitz made some kind of glove-maker gadget for Coulson. Daisy reveals that they’re going to a “symposium” meant for world leaders to meet and chat about Inhumans. Bobbi and Hunter discuss how Inhumans are a new type of threat, and Daisy gets a little bristly and defends her people. Back at the airport, we discover that Lincoln is on a mission with May, and it turns out that they're at the airport protecting Coulson. Meanwhile, in his conversation with Talbot, Coulson says he wants to get intel at the symposium, and Talbot says that sounds kind of like being a spy. As Coulson and Talbot walk to the parking garage, Carl Creel (remember him?) shows up to attack. Lincoln rushes in to protect them, but Creel turns into rubber using a tire, and as you well know, rubber can’t conduct electricity. Lincoln obviously can’t shock him, so May takes things into her own hands and hits Creel over the head with a crowbar. This causes Creel to turn back into metal, which means that Lincoln is able to electrocute him. Lincoln gets some random, sudden anger and almost goes too far with Creel. It’s good that he didn’t because Talbot dramatically reveals that Creel is there to protect him. We return to the S.H.I.E.L.D. 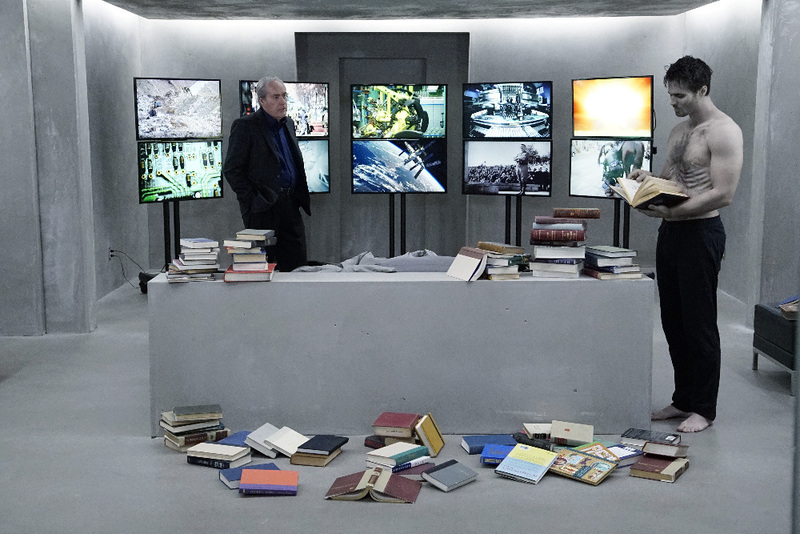 base where Fitzsimmons interrogate Creel. They still have a DNA sample of Creel’s, and since they know more about Inhumans now, they decide to run some more tests. We transition oh-so-subtly to a bad man… well, a bad Inhuman: Hive. He and Malick discuss the fact that Ward’s body might not be the best host (despite their praise for him at the beginning…?). Malick ominously says that there will be no more delays. The team is en route to the symposium. May and Hunter argue about how Hunter feels about Creel and his desire to protect his friends. May coldly tells him that they aren’t friends. Talbot and Coulson arrive at the symposium. 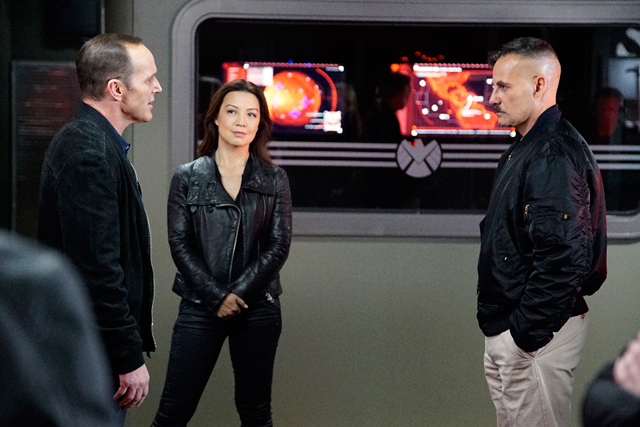 Coulson, who is posing as a doctor, reveals that the goal of the mission is to find information on foreign Inhumans and also identify Malick’s inside man. The way they’re going to do this is by breaking into the rooms of the foreign diplomats. The only way into said rooms is by doing a full palm scan. This isn't a problem, though, because Fitz made that glove-maker! 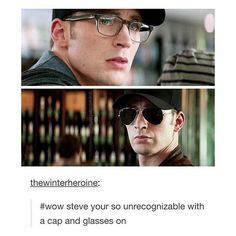 Whenever Coulson shakes hands with someone using his prosthetic, their palm print gets transported to Fitz, who then makes a wearable version of said palm print. (It’s a useful if not slightly-unbelievable gadget, but I guess we’ve already had someone wear May’s face in the show, so I can’t complain too much.) Using these handprints, Bobbi, Hunter, and May start searching the diplomats’ rooms. Back at Hive’s creepy underground lair, Malick leaves the building. Hive requests one of Malick’s men to bring him five humans. At base, Lincoln and Daisy train, and this is the first time I’ve felt any chemistry between them. Daisy tackles Lincoln, and things get steamy, but Jemma interrupts, asking Lincoln for help with Creel’s blood sample. Coulson starts talking at the symposium, trying to explain the Inhumans and why they’re not terrible. A Russian diplomat wants to establish a sanctuary state in Russia, a place where Inhumans can gather together and be safe (this is like Jiaying’s place all over again, and it’s a bad idea). Another diplomat says that this is an arms race (which someone rebutts by saying Inhumans are not weapons, which is true). Elsewhere, Hunter sees Creel leaving and follows in hot pursuit. Back at the base, Jemma and Fitz have discovered that Creel’s blood reverses the process of terrigenesis. They may have found a cure. Lincoln says this could put an end to the Inhumans, and Daisy walks in just in time to hear it, which causes her to feel betrayed. At the symposium, they’ve decided to take a vote on the sanctuary state, but one of the diplomats, named King, gets an encrypted text, so Bobbi tries to get into King's room. Hunter tracks Creel to a mysterious van. It’s revealed that King is using an Inhuman for military experiments. In the back of the van, Hunter finds an Inhuman frozen in stasis (throwback to Rosalind and the ATCU). He tries to warn the team, but Creel knocks him out. Inside, the sanctuary state has been approved, but Talbot turns on Coulson. He reveals Coulson’s true identity and tells the diplomats that Coulson is a traitor. That’s when Malick walks in. Hunter wakes up with more than one gun pointed at him, but lucky for him he has Melinda May and Bobbi Morse on his side. They rescue him, and it’s revealed that the person in stasis is Talbot’s son. May realizes that Talbot is the inside man and decides they need to rescue Coulson, but they’re not armed. Lucky for her, Hunter packed weapons. Lincoln and Daisy argue about the vaccine. He argues that people would at least have a choice, but Daisy thinks the government would use it to wipe out all Inhumans. Lincoln says it might be a good thing and they could use it to save people from the disease, but Daisy insists that it’s not a disease--it’s a birthright. Malick monologues, shows off gross photos, and has Coulson arrested without anyone lifting a finger. Back in the beehive (sorry, I couldn’t resist), Hive now has his five humans. They’re terrified, and rightly so because Hive dissipates into particles and invades them while they scream. Just when things look at their darkest, Creel invades the room and rescues them. 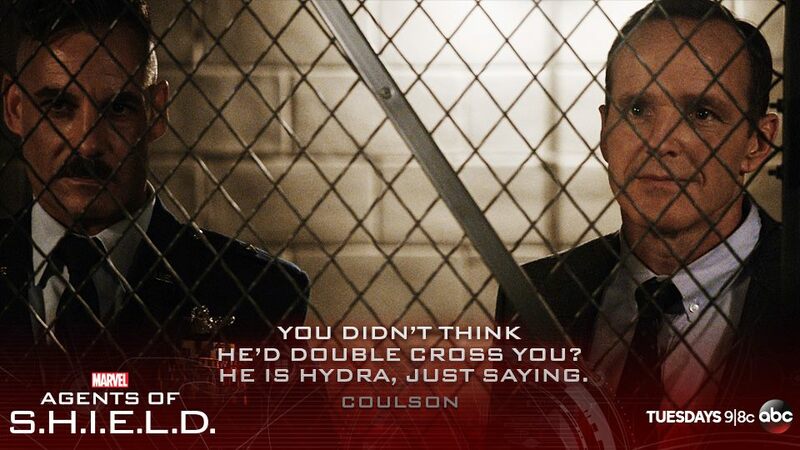 Coulson says the thing we’ve been waiting for the whole season. Hunter and Bobbi break into the compound, fighting the whole time. Hunter gets into a sticky situation and almost dies, but Creel saves his life (of course). Now that Coulson’s group is reunited with Hunter and Bobbi, they need an escape vehicle. As always, May is one step ahead. She has found and retrieved Talbot’s son, as well as the truck he’s in. Daisy finds Lincoln in his room and apologizes. Lincoln explains that he wishes he was at peace with his powers like Daisy is. Instead, he just feels reckless. He says he doesn’t want to lose control, but Daisy says sometimes losing control is a good thing. She takes off her shirt and kisses him. With almost everyone safe at S.H.I.E.L.D.’s base, we find out that Talbot’s son will be okay. 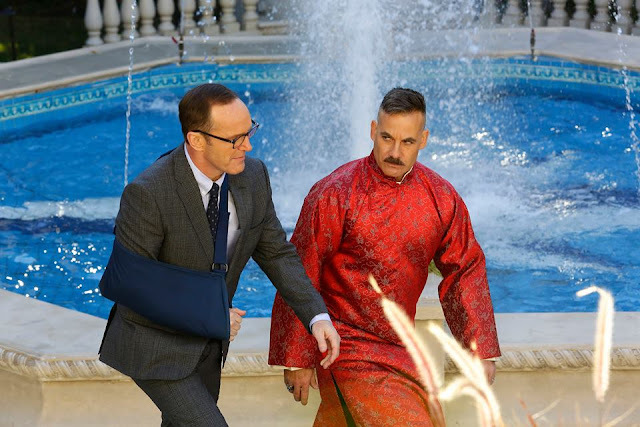 Talbot and Coulson make an unsteady truce. May and Coulson have a little chat, which reveals several things. Coulson hasn’t heard from Hunter and Bobbi, but they’re in pursuit of Malick. They found the Inhuman being used in military experiments. Coulson tells May he thinks that Malick is reporting to someone else. Oh, yes. You have no idea. Hive is now surrounded in a circle of five charred human bodies. He’s covered in a disgusting yellow goo. He also looks flat out TERRIFYING. On Malick’s nice private jet, he meets with the Russian guy, and they decide to work together. But the joke’s on them because who should be stowed away in the bottom of the jet? Hunter and Bobbi, of course! Tune in next week for answers… and even more questions. I have mixed feelings on this episode. And as positive as I've been in my recaps, today I finally realized I have mixed feelings about Agents of S.H.I.E.L.D in general. (I've been in denial.) Currently, AOS has some things I like and things I don't like. Keep in mind that though I dislike some of what's happening, I still love Agents of S.H.I.E.L.D. for what it has been and what I know it can become. Daisy. I don’t know why, but for some reason, I just do not like her this season. My quirky, funny Skye has been changed by the Terrigenesis. While I have nothing against change in characters, especially changes involving superpowers, the result of Daisy's change is that she's become kind of… bland. A lot of her time is spent defending Inhumans, which is good. Skye/Daisy is naturally an activist (as we saw with her hacker past). But other than her leading people and occasionally getting really defensive about Inhumans, I haven’t seen much in her this season that has interested me. She used to be one of my favorite characters, so admitting this makes me really sad. Daisy and Lincoln. As I said earlier, their boxing scene was the only time I felt any chemistry with them. I don’t know why this is because I know the actors are super dedicated to their parts, and I love both said actors immensely. But Daisy and Lincoln are just not something I can get behind right now. But don't worry--this could change! The show may be doing too much at once. I don’t know what is going on half the time. While I love the fast pace of AOS, sometimes I worry that they’re biting off more than they can chew. Between all the characters, plot lines, and new surprises, it’s getting harder and harder to feel like all aspects of the show are done well. However, they are doing some things very well. Hive. 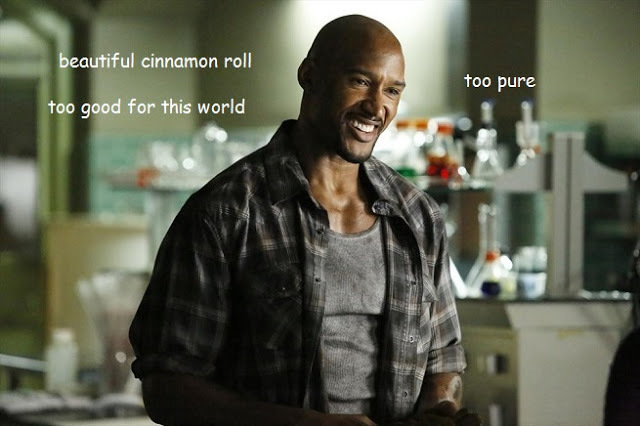 Despite my original excitement, I was worried that Zombie!Ward would be cliche and my least favorite part. However, this plot line is actually shaping up to be my favorite. I have no idea what’s going to happen, and he's brought the creepiness factor up quite a bit, especially with this episode. Fitzsimmons. These two still have my heart, and they will probably never stop. Everything about them has been well done, and I'm thankful they continue to grace us with their presence. Mack. When we first met Mack, I had no idea I’d come to love him as much as I do. He’s blossomed and grown on the show, and he’s one of my favorite characters right now. I feel that now is the time to bring this image back. The show is creative and unexpected. While I said AOS may be trying to do too much, they are still super creative in how they do it. I have hope that AOS will continue to surprise me and get back on my good side, and despite my doubts, I’m looking forward to the season ahead. I know there are lots of twists and turns that await us. And don't worry, Agents of S.H.I.E.L.D. and I are not done yet. Have you seen “The Inside Man”? What did you think about it? What do you like/dislike about season 3?